With an increased emphasis on the way we affect our planet and its climate, many parents are now looking for green back to school ideas that keep their carbon footprint down to a minimum. Although this isn’t always easy where kids are concerned, there are a few things you can do. The best of all the green back to school ideas is simply to buy as little as possible. You won’t be contributing to waste, or buying any environmentally-harmful materials, if you don’t buy anything at all! Although this is easier said than done when it comes to back to school shopping, take some time out to have a long hard think about what you’ve already got that could be re-used, or whether certain items that stores have on sale are actually essential. When you’re going through what you already have, don’t automatically throw out anything that’s damaged or no longer fits your child. The chances are that a lot of those items can be fixed, or donated to other children to be reused. You could save material from old school clothes to make eco-friendly reusable cloth bags for your grocery shopping. Think outside the box here! If your child needs to wear a uniform then always check with the school before buying anything new. As well as helping the environment by reusing and buying items second hand from the school, you’ll also be saving a lot of money! It makes sense to reuse when your kids will grow out of the items so quickly anyway. As for any other clothes you buy, look for organic cotton (that hasn’t made use of harmful pesticides) and eco materials such as bamboo for sports. For the more “green” parents, you may want to find eco-friendly back to school backpacks. Kids can get through backpacks at an alarming rate, so you’ll want to avoid unnecessary waste and harmful materials. The first option is to buy something as durable as possible. This means it’ll last for longer, reducing the waste that comes around when you replace it. But nothing lasts forever. When it does come time to replace your child’s school backpack, some green back to school ideas include buying materials such as hemp, that don’t have as much of an impact on the environment. There isn’t much you can do to avoid the need for paper and stationery. Although children are doing more and more things on computers these days, they still need pens, pencils and everything else that goes with it. 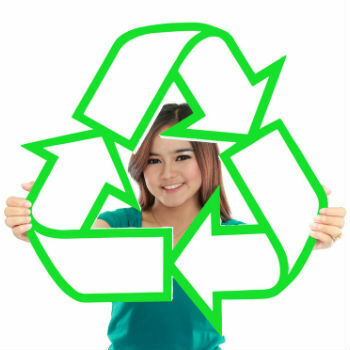 So try to minimize your environmental impact by choosing recycled pencils, paper, pens, ring binders and more. They are a little more difficult to find, so you may need to buy these kind of specialty items over the internet.